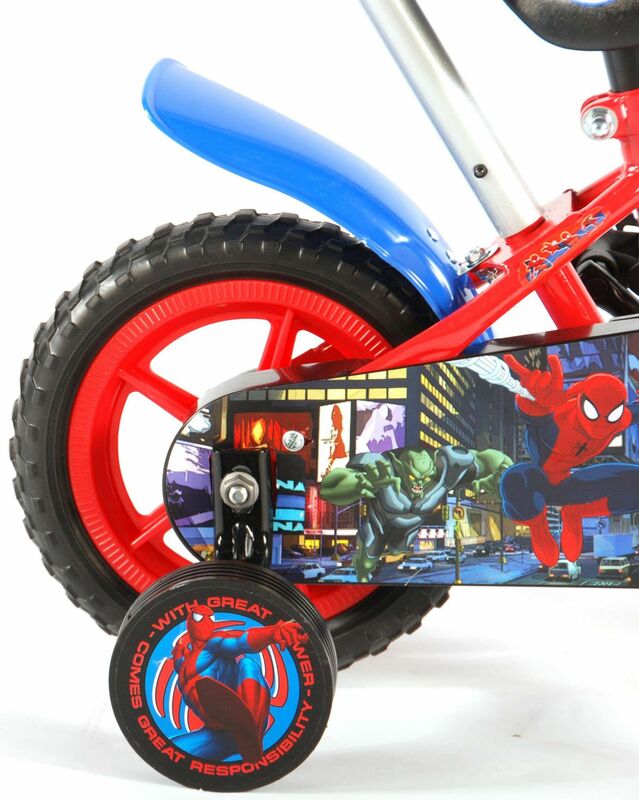 Spider-Man 10 inch bicycle with pushbar. 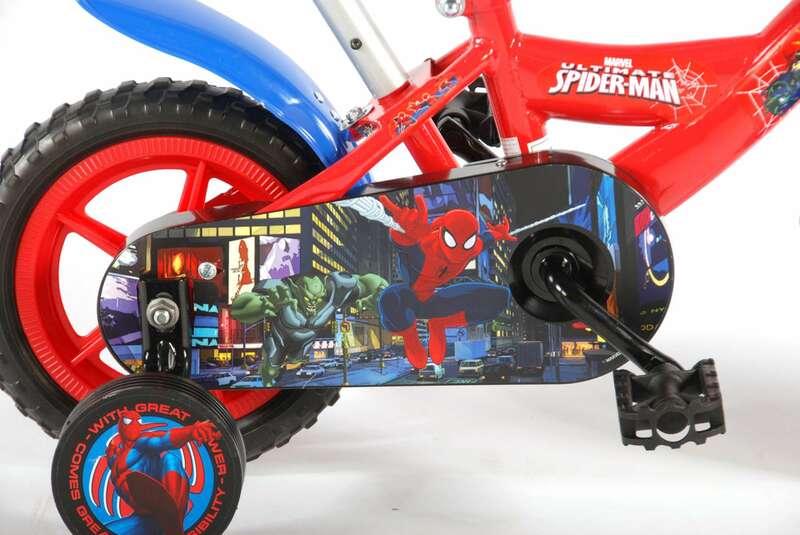 For every youngster who is a Fan of one of the most popular superhero Spiderman. In the colours of Spider-Man with a fantastic design. 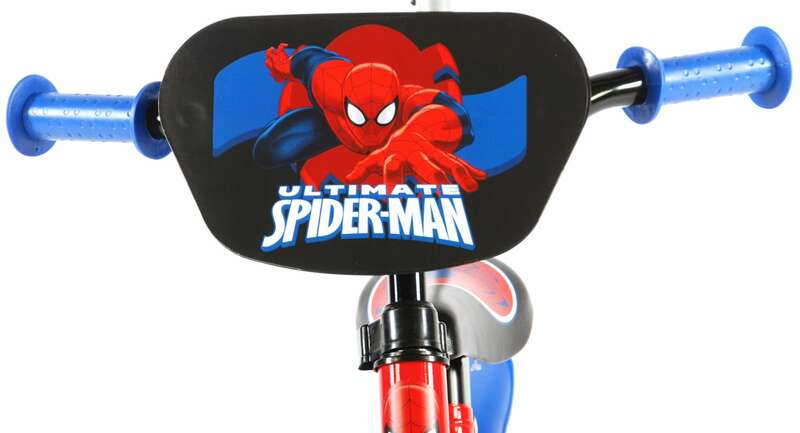 Marvel Ultimate Spider-Man official licensed product. 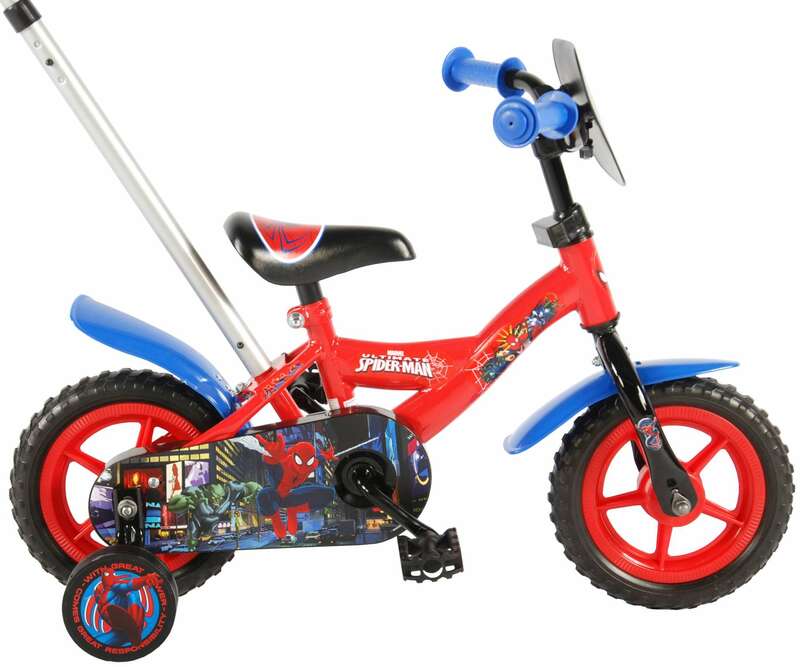 The pushbar is a big help for the parents to help your kid learning biking. 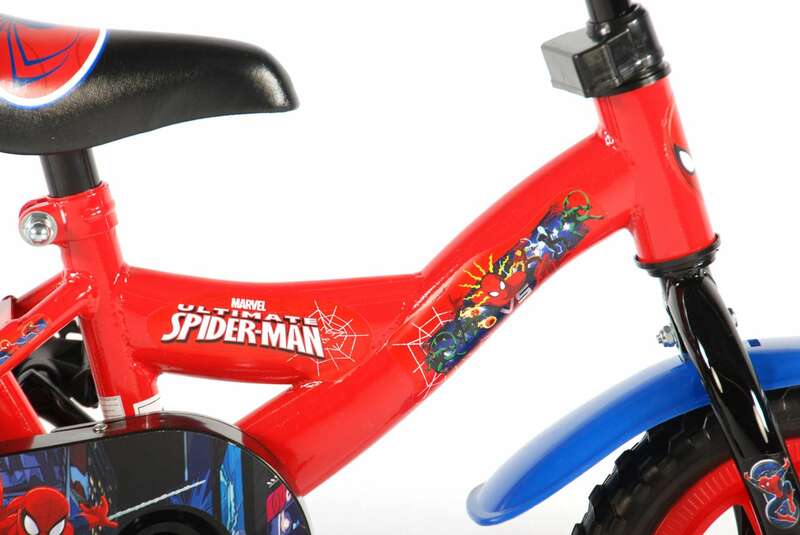 The bicycle is ideal as a starting cycle and can be adjusted as your child becomes a safer cyclist. Remove the support wheels. 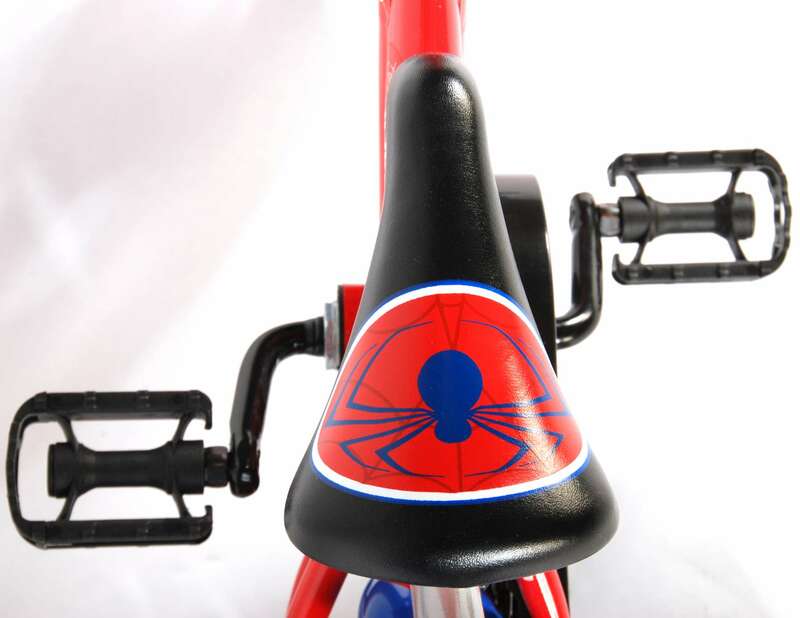 Adjust the height of the handlebars and saddle. And your child is again challenged on balance and motor skills. 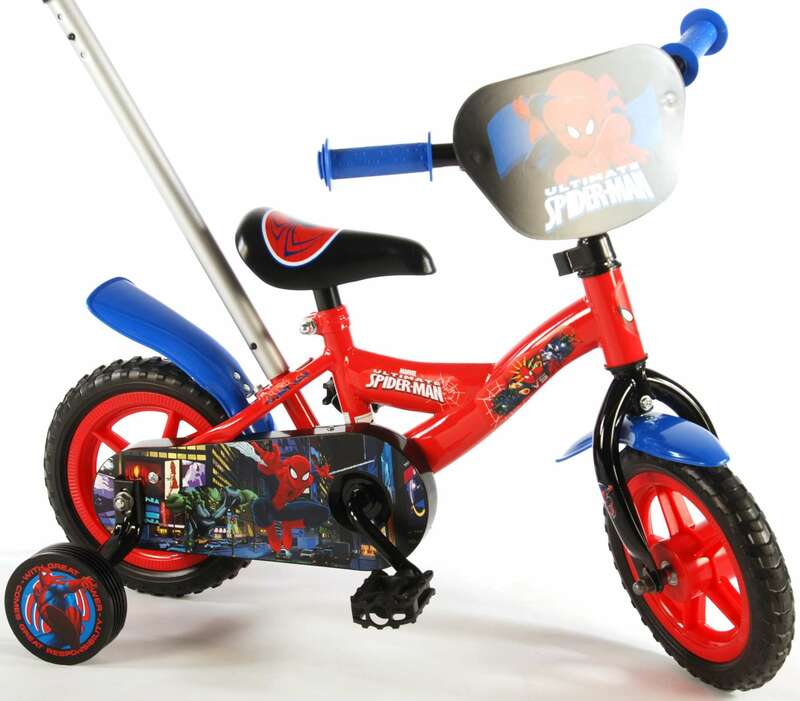 The children's bicycle for the child to learn to ride a bike. The design is super fresh with colors and patterns. 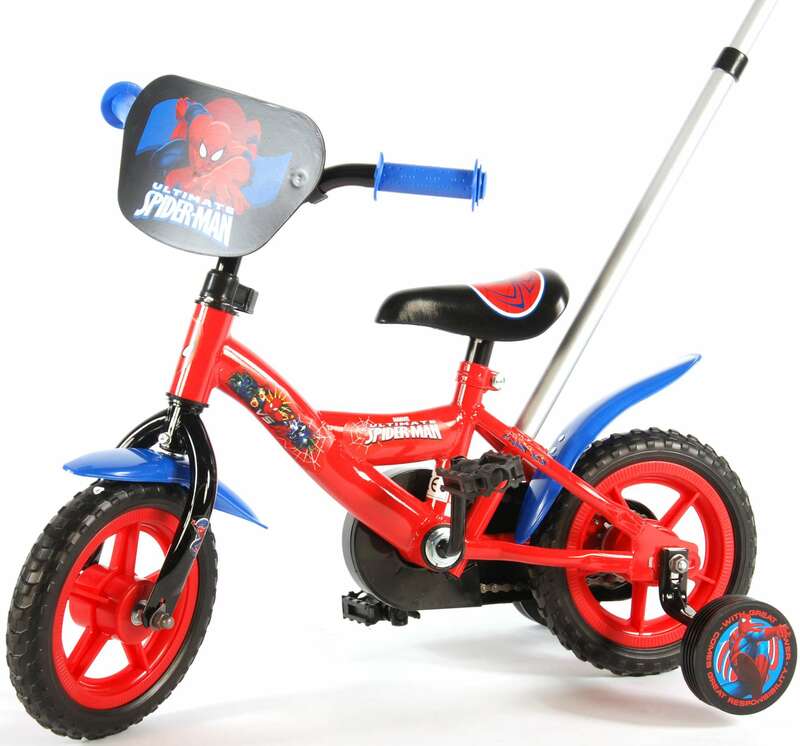 The 10 "wheels fit perfectly with the very first bike, because it is easy to operate and control with the small wheels. 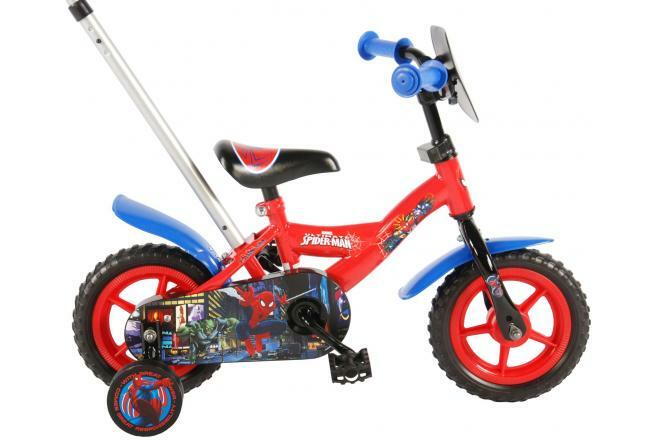 Supporting side wheels and push rod are included, so safety is at the top. 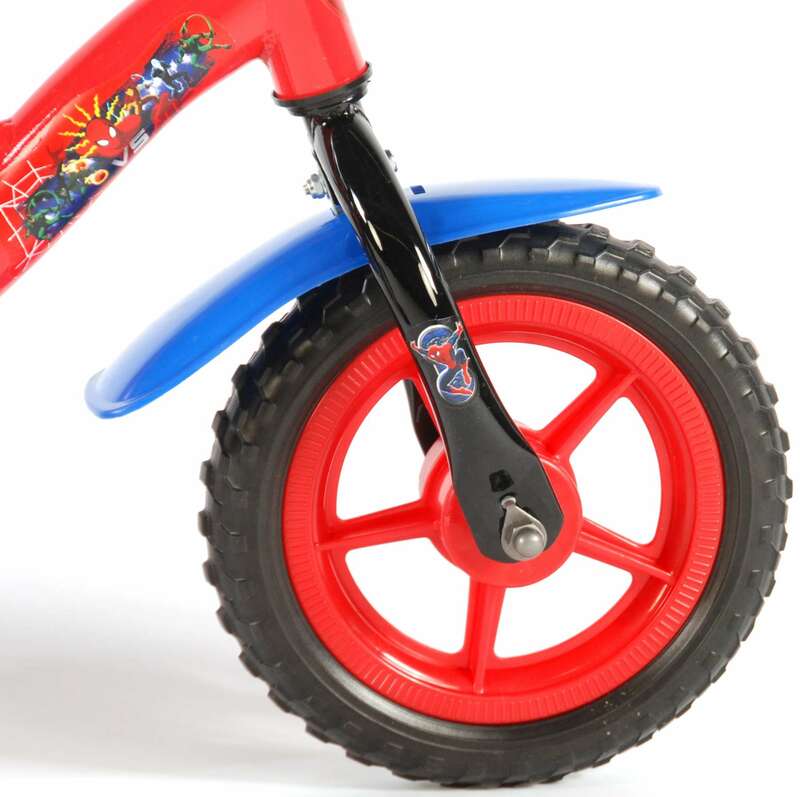 There is only a gear on the bike and it is a fixed hub so that it can travel both back and forth. It also means that the pedals are always running around - there is no freewheel. There is a chain case around the chain and the crankset so that nothing can get stuck. 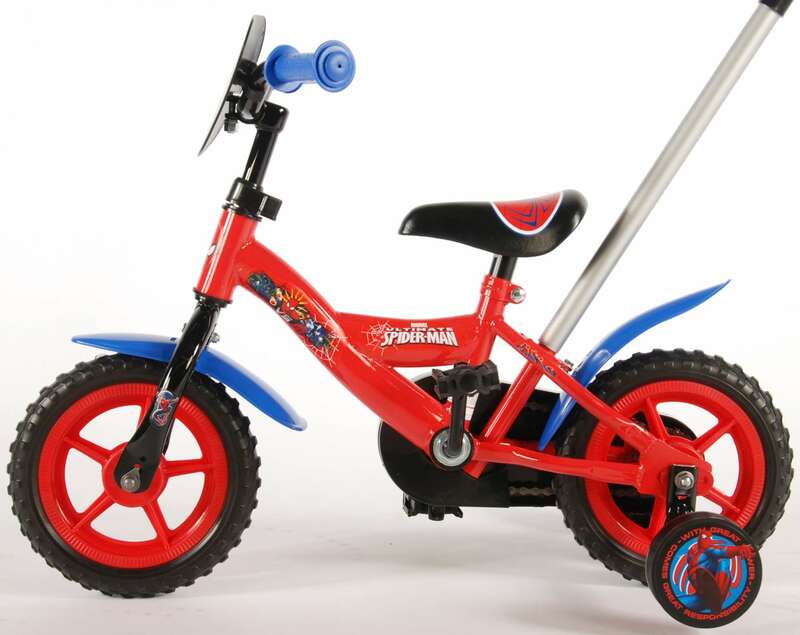 The bicycle is suitable for children with an entry length of 39-48 cm.